The Truman Company currently accepts orders via telephone. Telephone conversations may be recorded for quality and control purposes. When you confirm to the lock in the price, you will have entered a binding agreement which cannot be cancelled without penalty. Your payment method must be dated within 24 hours. Payment must be received within 72 hours or you will risk being charged a penalty fee, your order being cancelled, or a combination of the penalty fee structure below. Bank Wire/Personal Checks accepted for transactions between $0 and $20,000.00. All orders are inspected on a case-by-case basis to minimize the risk of financial fraud. Large orders are strongly encouraged to use bank wire. Bank wire is the preferred payment method of The Truman Company. Payment methods, other than bank wire, for orders over $2500.00 may be subject to additional documentation and inspection. The Truman Company reserves the right, upon our sole discretion, to cancel any order if we determine an order to be deemed questionable, suspicious or of significant risk regardless of payment method selected and price confirmation. When an order is confirmed, prices become locked-in and the order becomes a binding agreement of the “buyer” and The Truman Company. We will evaluate any request to cancel an order on a case-by-case basis. Only under rare, extraordinary circumstances will a cancellation be approved. All cancelled orders are subject to any market loss to The Truman Company along with an additional 3% of total purchase price. Penalty will need to be paid within 48 hours. Any market gains as a result of a cancelled order will remain the property of The Truman Company. Cancellation request are required to be filed via telephone during normal business hours. Your satisfaction is guaranteed on all orders. If you are not satisfied for any reason, you have within 3 days after receipt of shipment to notify our customer service team via telephone of your dissatisfaction. The decision to refund or replace your item will be at the sole discretion of The Truman Company. All returned items will be subject to the customer paying market loss based on The Truman Company’s sole discretion. All items must be returned in original packaging. Defined in the simplest form, the difference of what you paid for the purchase and what it is now worth based off the going market price of the respective item. The market value will be defined under the sole discretion of The Truman Company. All orders are shipped fully insured via USPS, and FedEx. If anything should happen to your order during shipping, our insurance will cover the package (see below for restrictions which are put in place by our insurer). A signature will be required upon receipt of the package by the consumer. If your package is loss or damaged, it will be the responsibility of The Truman Company to file a claim with our insurance company. We will replace or refund your purchase at our sole discretion. The Truman Company prides itself in providing the most up-to-date pricing for you and our staff. Occasionally, we do make mistakes and there may be a typographical or pricing error. Under these rare circumstances, The Truman Company retains the right to cancel or refund an order. All investments carry risk. You are responsible for your investment decisions. 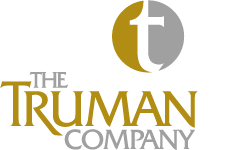 By purchasing through The Truman Company, you understand The Truman Company is not responsible for any losses of your investment decisions.